Join us for a free artist talk on June 7th with #LisaRoss, the artist behind the 'Living Shrines' summer exhibition at GPP. 'Living Shrines' is a series of ethereal photographs that take us on a journey through the Xinjiang region of China, where Lisa Ross has spent over a decade documenting Islamic holy shrines created by the Uyghur community in China. 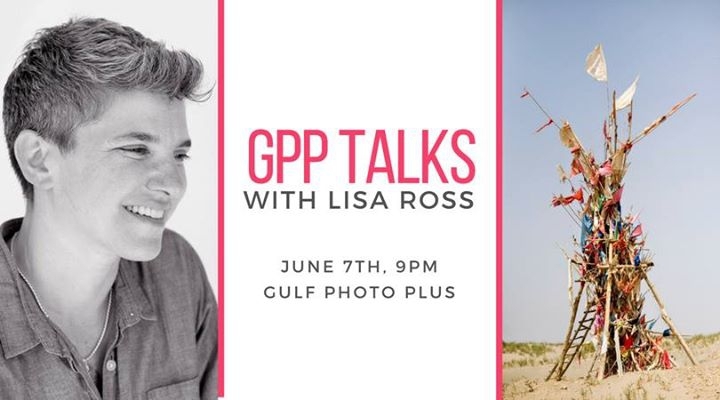 Lisa Ross is a New York based photographer, video artist, and educator who, in conversation with GPP Managing Director Lola Boatwright, will discuss her series and its place within her wider oeuvre. The talk will take place in the GPP gallery space where Ross's work will be on exhibit. Join us at 8:30pm for light refreshments. The talk begins at 9pm.